In keeping with the theme of freedom and the Underground Railroad, I recently visited Norfolk, Virginia which is rich in history and stories of freedom. After a stop at the Norfolk Visitors Bureau, I set out to find the Norfolk Waterfront. I ventured a couple of blocks to the Elizabeth River and found an Underground Railroad historic marker which denotes the place where many enslaved blacks sought freedom along the waterfront. Prior to the Civil War, the waterways along the east coast served as a transportation mode that brought enslaved Africans and free blacks to the east coast. It also was the site for a busy commercial activity. This historic marker highlighted the story of George Latimer, an enslaved black man seeking freedom like thousands like him in the North. George and his wife Rebecca escaped by the waterways to Boston and he did not return to his owner. Because such a large number of blacks were employed in the shipping industry (shipyards, boats, and steamships) they were able to quietly assist African Americans with securing transportation heading North. Additionally, whites, either for a fee or by aiding the efforts of the Underground Railroad movement, transported enslaved men and women out of the Virginia and North Carolina area. It is believed that thousands of people were able to reach northern cities and Canada through these heroic efforts. Much like the abolitionist of Oberlin, you could find men and women in another part of the country who were committed to the message of freedom and the network of the Underground Railroad (on water). The election of 1857 was a state election, not a national one. State elections were more significant then, as many Ohioans, including most Oberlinites, had given up on the federal government altogether and put their faith in the state to protect their rights. The federal government at that time seemed hopelessly wedded to the “slave power”, run by Democrats at a time when the Democratic party was unabashedly pro-slavery. 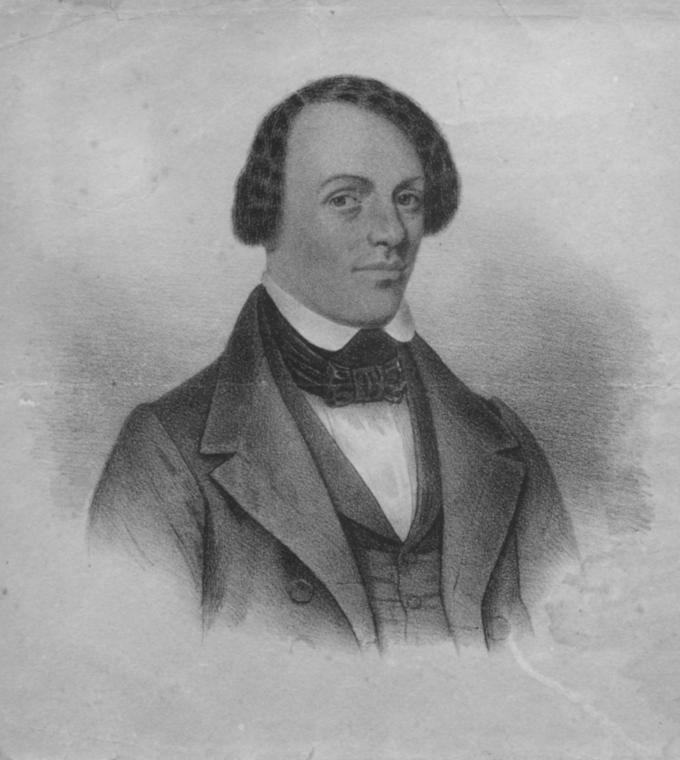 The 1850s had seen an endless stream of intrusions by the Democratic “slaveocracy” on the liberties of the northern states and western territories, beginning with the notorious Fugitive Slave Law of 1850, which denied accused fugitive slaves even the most basic legal rights and proscribed stiff penalties for anyone who assisted them, or even refused to assist in their capture. Even at the time of the 1857 election, Democratic President James Buchanan was doing everything in his power to force an oppressive pro-slavery state constitution and legislature on the overwhelmingly anti-slavery inhabitants of Kansas Territory. But there was one ray of hope amidst all this angst for Ohio’s anti-slavery residents. 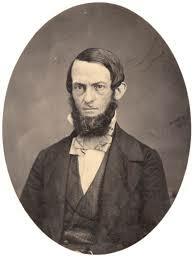 In 1854, a new anti-slavery party called the Republicans had formed. And the statewide elections of 1855 saw an extraordinary flip where this brand new party took control of the governorship and both houses of the state General Assembly from the Democrats. 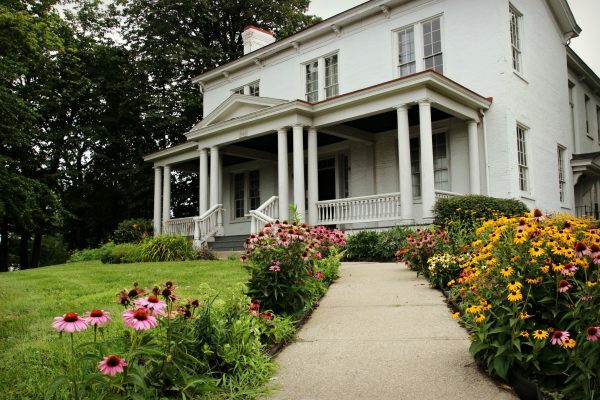 Over the next two years, the Republican General Assembly passed four “personal liberty laws”, which partially counteracted the federal Fugitive Slave Law and restored some basic legal rights to Ohio’s black residents, hundreds of whom resided in Oberlin. The most radical of these laws, a “Habeas Corpus act”, was written by Oberlin’s own favorite son, Representative James Monroe, an Oberlin College Professor (see my Northern States’ Rights, Part 2 blog for details). If there was any adverse reaction in Oberlin to the election results, it’s not apparent from the historical record. Instead, James Monroe would return to his seat in Columbus and fight to keep Ohio Democrats from overturning the personal liberty laws, and Oberlin would quietly go about its usual business as if nothing had changed: assisting freedom seekers who appeared on its doorstep, and sending out abolitionist missionaries, teachers, preachers, journalists, lawyers, etc., to spread the anti-slavery message throughout Ohio and the northern states. Republican enthusiasm flourished right on into the 1860 Presidential election, when Ohio elected by a wide margin the first ever Republican President, Abraham Lincoln. And the rest, as they say, is history. But history repeats itself, as another saying goes, over and over again. Great progress is never linear, but a series of forward steps interrupted occasionally by the inevitable and often disheartening backstep. History teaches us that antebellum Ohio’s progress was no more linear than today’s – in fact far less so. But history also teaches us that progress can resume after a backslide, if its advocates use the opportunity to regroup and re-energize, to constructively “exert a mighty influence” on public opinion, to listen to the grievances of their opponents, and to accommodate those grievances that are reasonable while standing firm and courageous against those grievances that are not. * Historians have traditionally taken the stance that this General Assembly passed no new personal liberty laws – a claim that I myself repeated in my Part 3 blog. Since then I have discovered that the Republicans discreetly passed what amounted to a low-key personal liberty law in 1860. This law would have an impact on the infamous Lucy Bagby case of 1861, and will be discussed in detail in a future blog. Oberlin’s history is chock-full of people who have gained national and international recognition for their achievements, like Antoinette Brown (Blackwell) – the first female ordained minister in the United States. But none of these people, no matter how deserved their recognition has been, could have reached their lofty heights without standing on the shoulders of people who came before them. And Oberlin’s history is also chock-full of the unsung heroes and heroines who willingly offered those shoulders. Few of those unsung heroines are as fascinating to me as an obscure grandmother from upstate New York named Almira Porter Barnes. In an age when the conventional wisdom had it that a grandmother’s place was knitting by the fireside, this remarkable lady was traveling the northern United States and Canada, investigating and influencing, financing and philanthropizing, encouraging and endorsing the great reform movements of her day: abolitionism, universal education, temperance, and general moral reform. (And she did her share of knitting too, by the way, but not always by the fireside.) She left an indelible mark not only on Antoinette Brown, but on Oberlin as well. Sample from an Almira Porter Barnes letter. Not a millimeter of paper was wasted! On the stagecoach to Oberlin the next morning, Barnes chanced to meet her college instructor, Professor Finney, who was also the renowned revivalist pastor of Oberlin’s one and only church, and several other Oberlinites, including her nephew, Henry Peck, and her grandson. The group had been attending a religious convention in Cleveland. But they returned early, “the convention having passed a vote that they would not let the Oberlin people say any thing, the object of the meeting was to promote pure and undefiled religion.” Ha! It wasn’t just abolitionism that made early Oberlin unpopular with its neighbors, but its unorthodox church and its unconventional pastor as well. Finally arriving in Oberlin, Barnes settled in for a long stay in the home of Oberlin College President Asa Mahan and his wife, Mary. 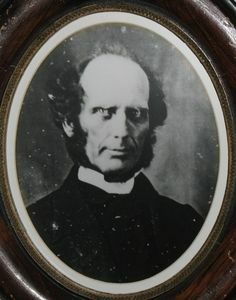 Shortly afterwards word came from John Jay Shipherd “at Michigan” that he and his family were “all well and very happy and prospects flattering” – news which Barnes asked her daughter to relay to the Shipherd family in Troy. 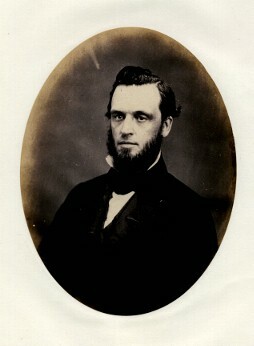 Shipherd had left Oberlin early that year for Olivet, Michigan to start a similar college and colony there. Despite the good tidings, he would be dead within three months. “Saturday morning we went out to call on the coulored [sic] people and spent most of the day, and I am sure I never spent a day so pleasantly in making calls as I did that day. All that we called upon had made their escape from Slavery and it was exceedingly interesting to have them tell how they managed to escape and what hardships and fatigue they endured in getting away and their suffering for fear they should be taken and carried back and especially their trial on account of leaving behind them their friends[;] prehaps [sic] a Husband had left a wife and children[,] or a wife her husband[,] or children had left parents that they should never see again[,] and they manifested as much feeling about it as any other people would. 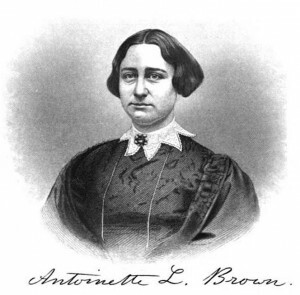 Eventually it would all work out for Brown, of course, as she was ordained in 1853, preached in several churches, married Samuel Blackwell, and became a successful speaker and writer on behalf of abolitionism, racial equality, women’s rights, and temperance. She also worked with her friend and fellow Oberlin College alumna, Lucy Stone, and others to found the American Woman Suffrage Association, which advocated women’s rights, but without sacrificing the principles of racial equality like other women’s organizations were then doing. After all that traveling over all those years, the feet may indeed have been weary, but the shoulders were always willing. Almira Porter Barnes to Mrs. Laura Willard, July 29, 1844, OCA, Robert S. Fletcher collection, op. cit. Almira Porter Barnes to Mrs. Laura Willard, August 12, 1844, OCA, Robert S. Fletcher collection, op. cit. Sherlock Bristol to Hamilton Hill, Oct 21, 1844, OCA, Robert S. Fletcher collection, RG 30/24, Box 14, Folder 9 (“Treasurer’s Office, File K”). Her hands, dipped in blood, on the brow of our race. 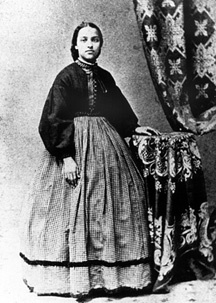 By 1869 the managers were so impressed that they promoted her to head Principal of the entire Institute, the first African American woman in the country to take such a position. 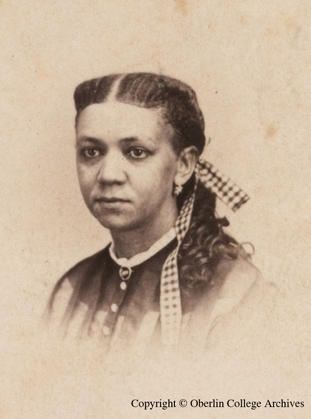 At that time, Mary Jane Patterson resigned and took a teaching position in Washington, D.C. Two years later she too would become a Principal, of the Preparatory High School for Colored Youth (the forerunner of prestigious Dunbar High School). But that obligation was paid forward – many thousands of times.